Gangster Ladybugs Nature Gone Mad iphone x case by Bob Orsillo. Protect your iPhone X with an impact-resistant, slim-profile, hard-shell case. The image is printed directly onto the case and wrapped around the edges for a beautiful presentation. Simply snap the case onto your iPhone X for instant protection and direct access to all of the phone's features! 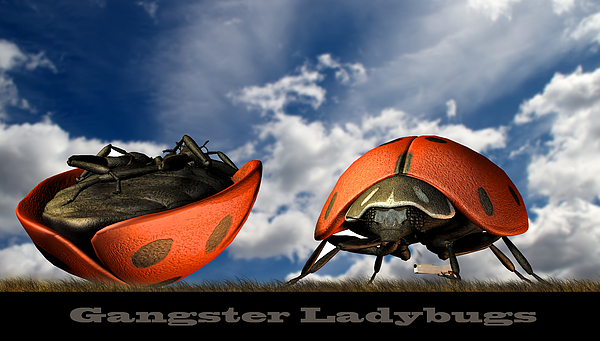 Gangster Ladybugs, Mother Nature gone wild!. - Original fine art insect ladybug satire by Bob Orsillo Against a bright blue sky in field of green grass, another Ladybug is gunned down. Well...they do always seem to be breaking and entering (into my house anyway)...guffaw! I so enjoy your imagination Bob!! wonderful image and sense of humor, bob! Clever and more clever! This is great, Bob! Love the humor and of course the ladybugs are beautifuly done and colored. That is why they are called "lady...". This is a great very humorous image Bob! I love it! :)) That makes me happy! Oh very interesting image......Auburn,Maine-huh????? That's near my neck of the woods!!!! Hey Bob. Maybe we could collaborate and do a comic strip of photos! 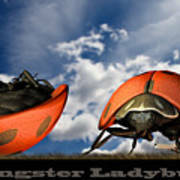 Gangster Ladybugs, Mother Nature gone wild!. 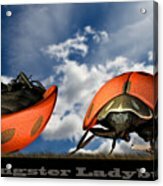 - Original fine art insect ladybug satire by Bob Orsillo www.boborsillo.com Against a bright blue sky in field of green grass, another Ladybug is gunned down.